Price per person. Tough trip in rental car. 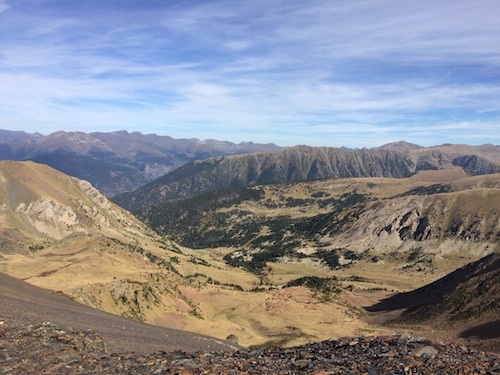 For centuries smugglers have been avoiding the border between Andorra and Spain, crossing the Pyrenees using the most difficult tracks, going through dense forests and deep rivers to avoid being caught by the border police. 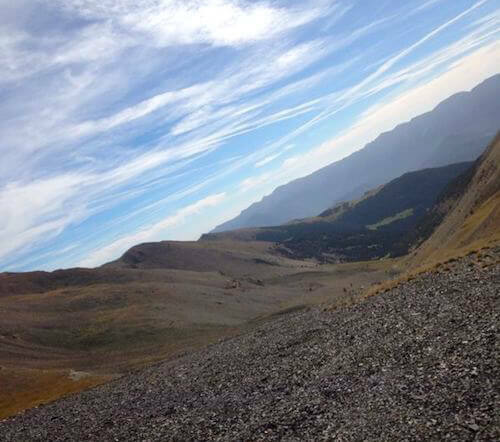 These trails are still there for people who wish to cross the Pyrenees between Spain and Andorra. We know where to find them and propose to take you back in time for a great adventure. 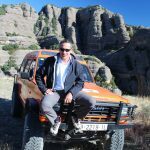 You will enjoy the wildest parts of the Pyrenees, drive tracks that seem undriveable, get stunning views over the mountains and into the valleys. But unlike the smugglers of old, you won’t run the risk of getting caught. For this trip you fly to Barcelona the day before the trip starts, where we will pick you up from the airport. Of course, you can come earlier if you want to visit Barcelona first. 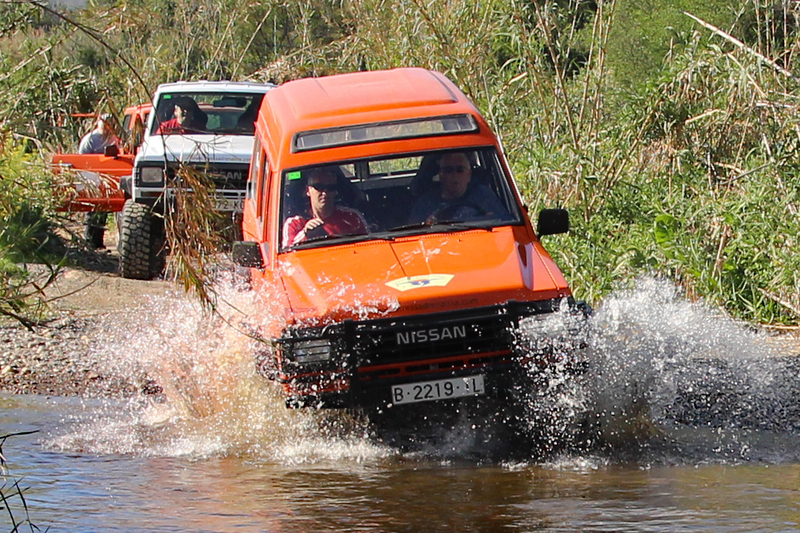 After the pick-up, we will transfer you to our facilities near Barcelona from where your adventure will start. See the programme below for what happens next. We provide the cars for this trip, for which rental fee and fuel are included in the price. However, if you wish to join in your own car, this is possible at a reduced rate. Please contact us first so that we can assess the suitability of your car. 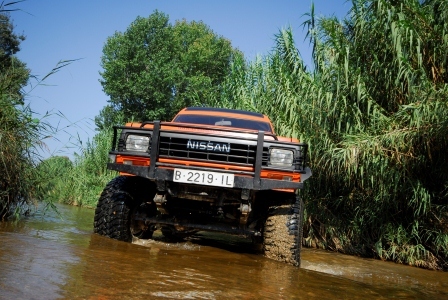 On this adventure you drive a Nissan Patrol modified to perfection. The cars have been raised and are equipped with a very sort short range low gear box to make maximum use of the torque of the engine. 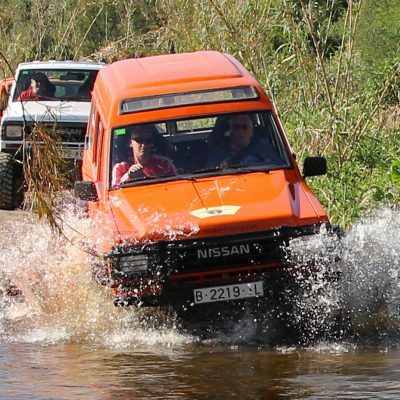 These are very reliable cars, perfectly suitable for the kind of tracks we drive on these tours. Your professional tour guide guarantees a safe adventure for everyone. 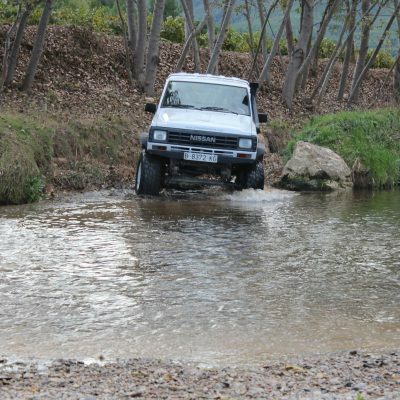 This is also a perfect opportunity to improve on your 4×4 driving skills, even if you are already an experienced driver. You will enjoy these tastes with a barbecue in the mountains, good tapas and excellent cooking in the restaurants we visit. 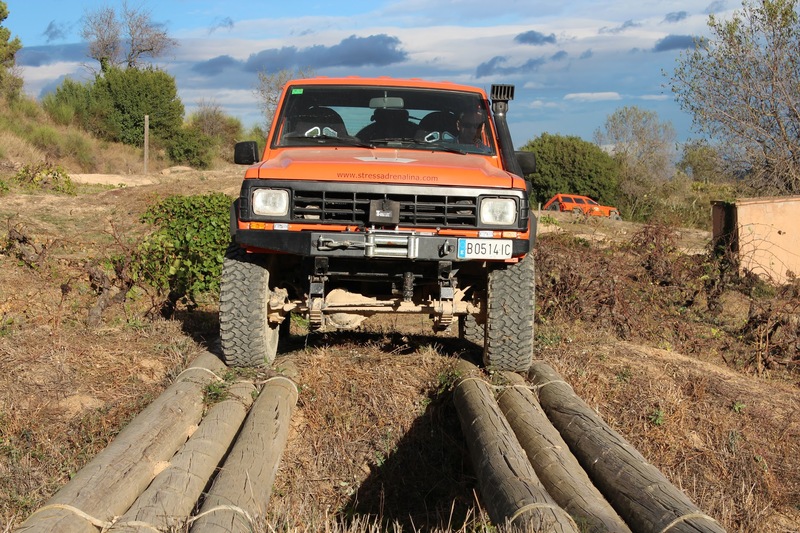 This seven-day trip follows an intensive offroad programme, taking you from our training facilities in the Sitges area through the Montserrat mountains and Penedès region to the Pyrenees and into Andorra. Note: the first day starts with a driving training at our facilities. We advise you to arrive in Barcelona the day before, as otherwise you would have to take a very early flight. You are of course free to do so, as long as you make sure you are at Barcelona airport no later than 8:30 hrs. Because of environmental restrictions we are not able to pick you up from a hotel inside the city. We therefore ask you to go to the airport on the morning of the first day, be there at 8:30, where we will pick you up. If you are not already in Barcelona, we will welcome you at Barcelona airport and transfer you to a hotel near Sitges village. If you are already in Barcelona, we ask you to you up from where you are staying. 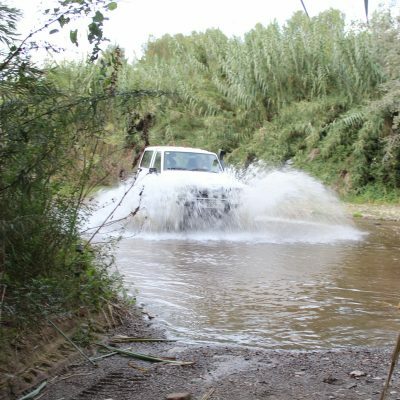 The first day is meant to allow you to familiarise yourself with the car you will be driving and the kind of terrain you will be going through. Early morning: welcome participants at Barcelona airport and transfer to our training facilities. 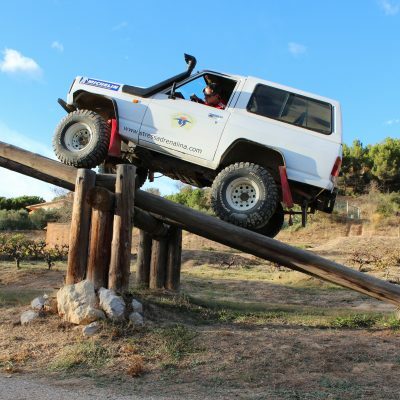 Drive vehicles and get training on our off-road track. 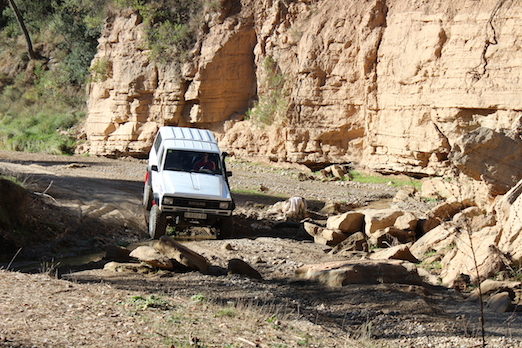 Off-road tour to try out what you have learned in the morning, river crossing, difficult, technical tracks. Drive through beautiful landscapes through the vineyards of the Penedês valley. Return to hotel: this is a comfortable, family-run hotel in the mountains, not far from the training facilities. 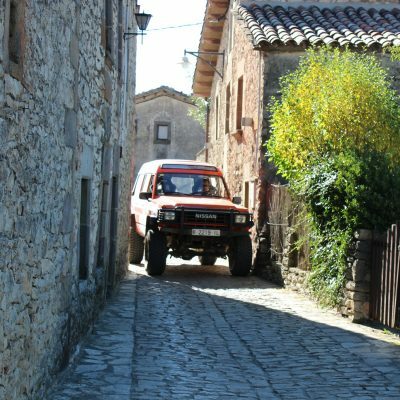 We start the trip towards the Pyrenees, after 1 ½ hours driving on the road, we arrive at the beginning of the off-road tracks. 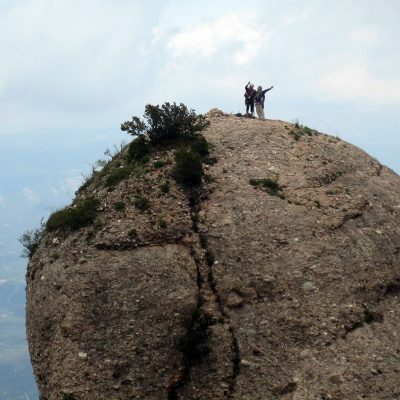 The landscape changes to rocky mountains and impressive cliffs, peppered with beautiful, typical Catalonian villages. 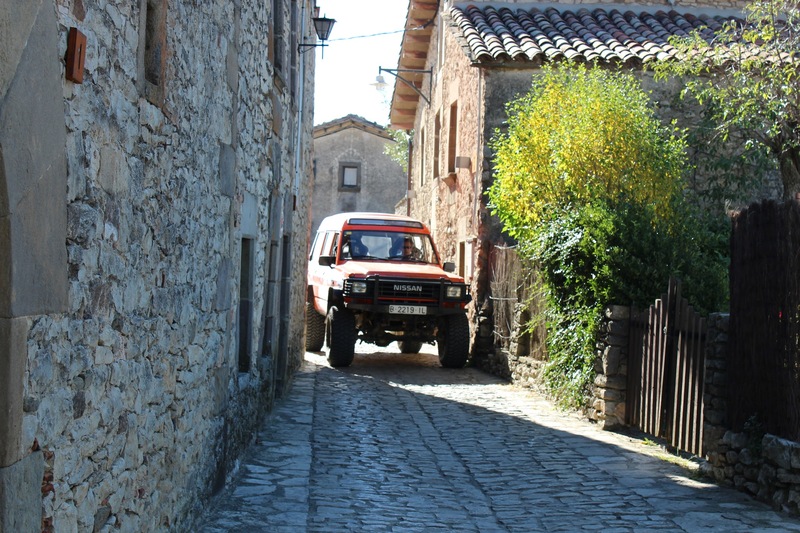 We will drive along twisty and rough smugglers’ tracks to finish our journey at Andorra in the heart of the Pyrenees. 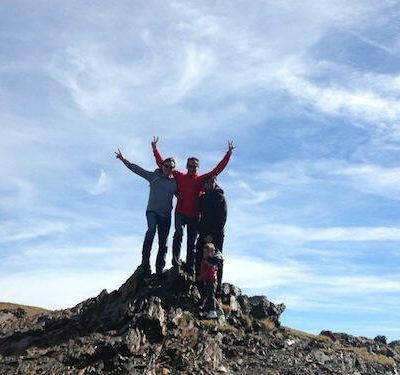 This day offers spectacular, amazing views over the mountains. 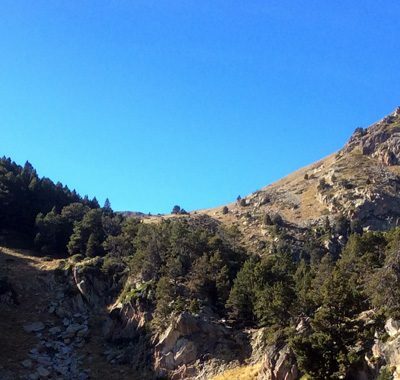 We will reach the highest peaks of Andorra and the Pyrenees, with some very steep and long climbs and descents. Lunch time in a local family-owned restaurant in the countryside. 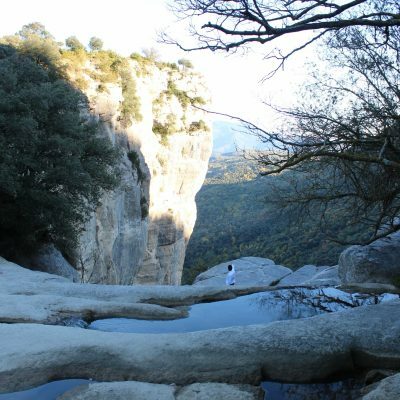 Today we descend from the high mountains step by step to arrive in the Pre-Pyrenees, where we will be staying all day. We will enjoy great scenery and drive a few technical passes over rocky mountains. 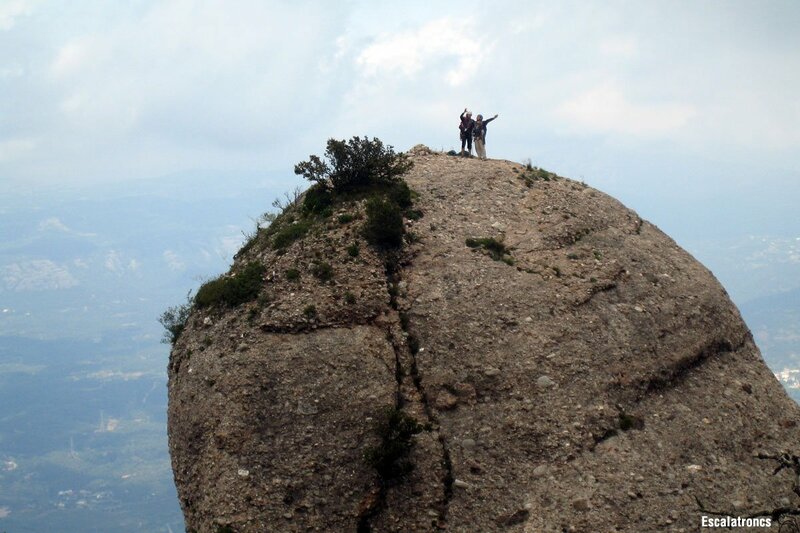 We pass very close by to the Cadi Moixeró Natural Parc with spectacular view points. If there is time we will visit a natural prison, in the middle of the mountains. In the past (the practice has gone out of fashion) people were simply left behind with no chance of coming back on their own. 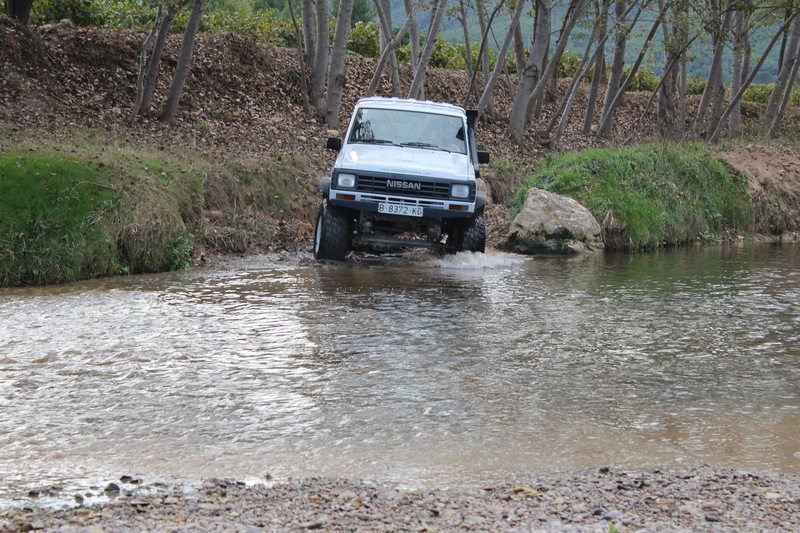 It’s time to move to the east, to find some good off-road again close to Rupit village and around a big swamp. We have lunch in a very peculiar place: a small restaurant into an old monastery, from where we enjoy some of the most spectacular views of Catalonia. We have to walk a short distance to get there. 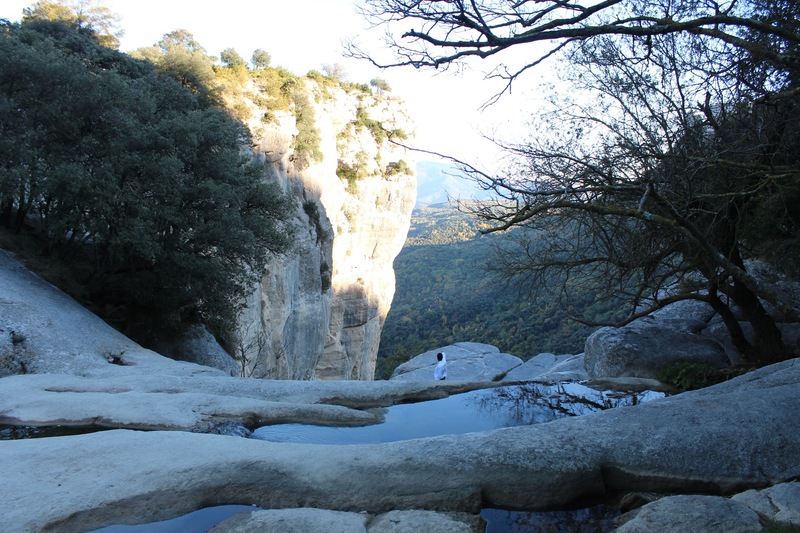 Before we start our tour for today, we will have a short stop to visit an impressive waterfall, which, with an altitude of 115 meters, is the highest of Catalonia. 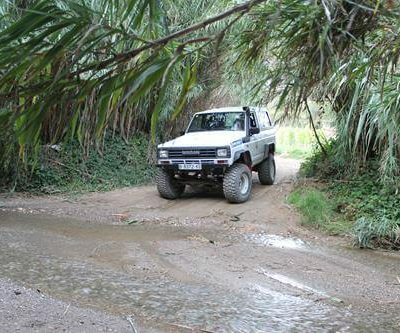 After that be ready for some proper off-roading. 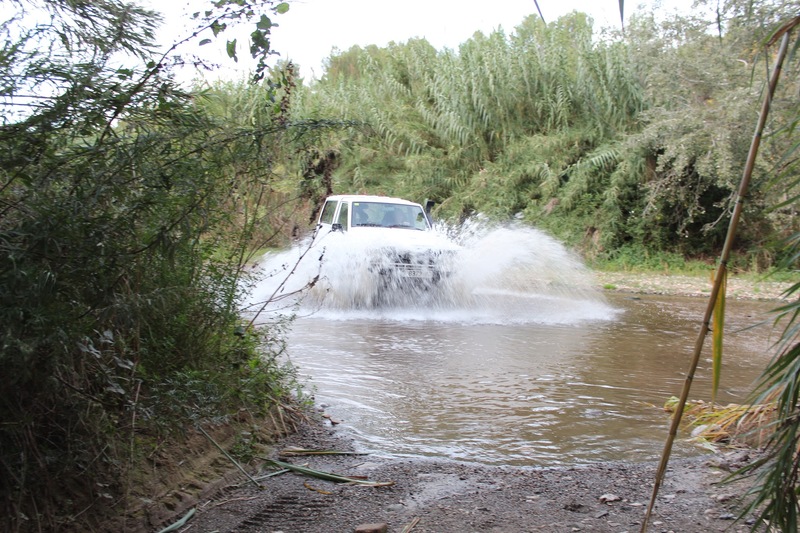 We will pass almost under the waterfall and have a long stretch of challenging sections in front of us, where we will need everybody working together to get through. Time to relax a little; visit a wine cellar for a tasting; visit Sitges village. 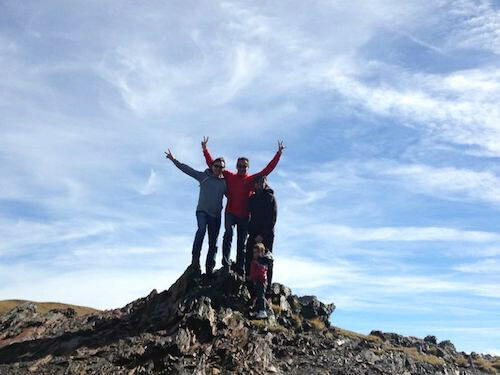 We can do this trip in winter as well, although we will avoid the highest passes. 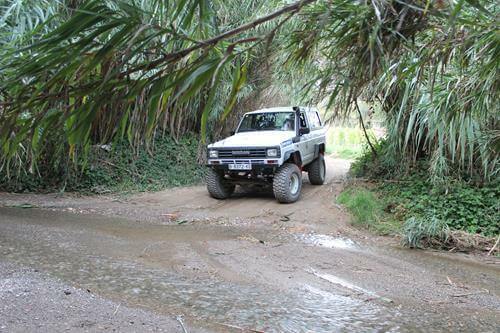 It is a special experience: phenomenal scenery and great driving. Pick-up and drop-off at Barcelona airport. 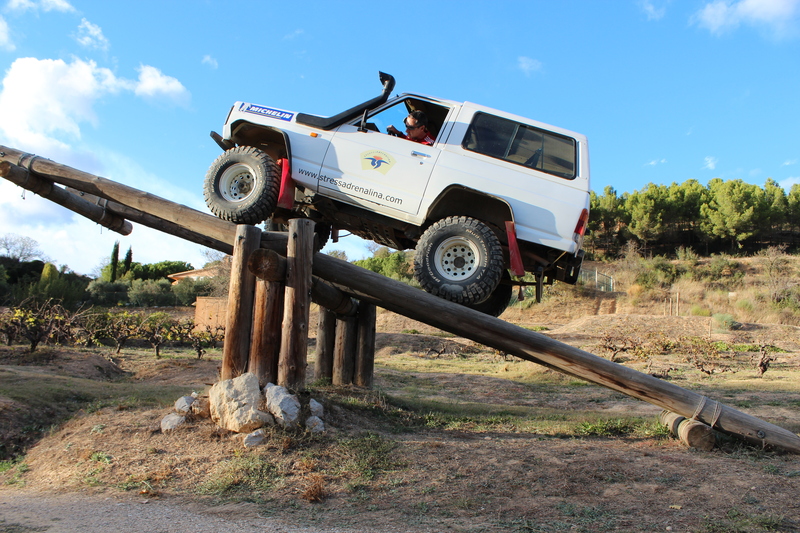 Training at our off-road site and in the Penedès area. Six nights in comfortable hotels, shared double or twin rooms, breakfast included. If you arrive in Barcelona the day before the trip starts, that night is not included in the price. 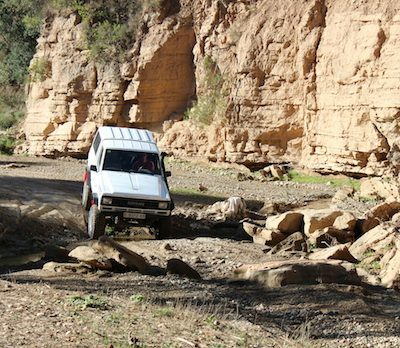 Six days use of a Nissan Patrol. Maximum of two persons per vehicle. Minimum group size: six people (3 cars). Maximum group size: 10 people (5 cars). All vehicle operating costs, including rental and fuel. We ask for a deposit of €400 in cash as a security for damage to the cars. It is possible to participate in this trip in your own car. Please contact us first so that we can assess if your car is suitable for the trip. The fee for the trip if you use your own car is €2495 per car, based on two people sharing a room. 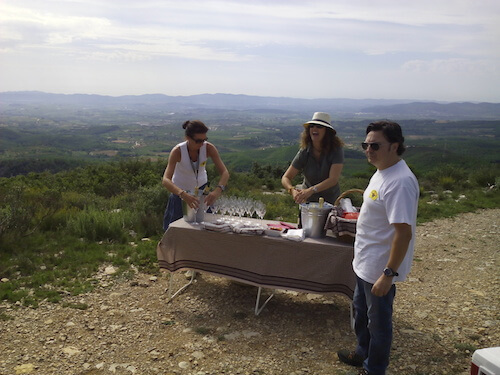 The trip starts in the Penedès, located in the south of Catalonia, between the pre-coastal mountain range (Serralada Pre-litoral) and the Mediterranean. 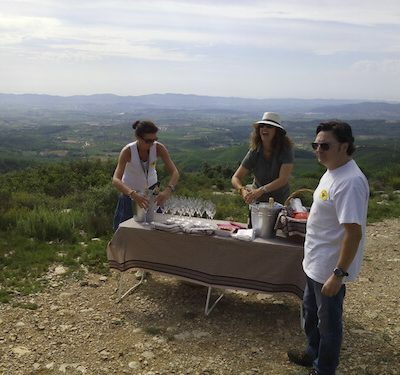 It is a wine-producing region, framed by the coastal hills of the Serra del Garraf and the higher inland mountains which skirt the Catalan Central Depression. Long considered one of the country’s best wine-producing regions after the Rioja area, it is also one of the most ancient viticultural areas in Europe. Perhaps best known for its Cava production, a sparkling wine which has had its own Denominació d’Origen since 1991. White grape varieties predominate, although the region also produces some highly regarded, oak-aged reds. 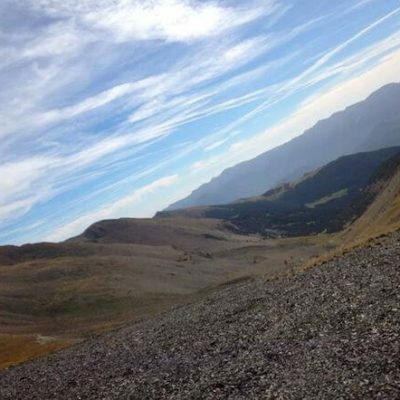 From here the route takes you into the high mountains of the Pyrenees, where it gets emptier, rougher with more variable weather. 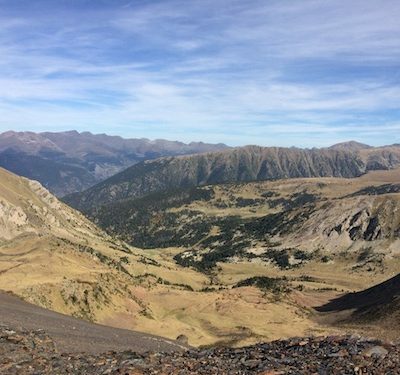 If you have already been to the Pyrenees, you will agree that it is one of the most fascinating mountain ranges in Europe. 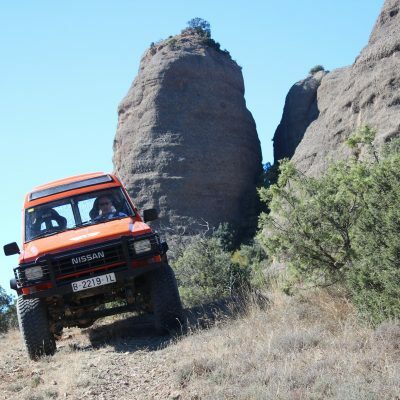 Those who go for the first time will discover stunning scenery, rough landscapes, abandoned villages and vast emptiness. It is quite possible to drive all day over all sorts of mountain roads and encounter no one. 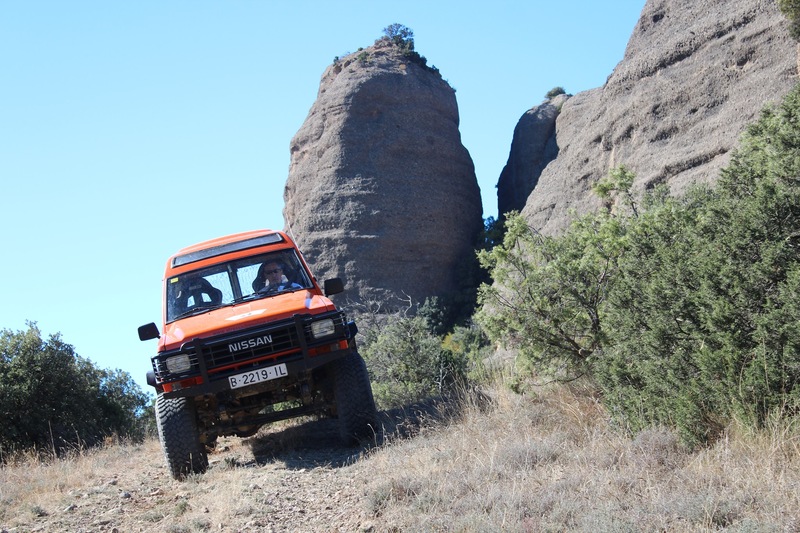 We drive some amazing tracks to explore the mountains approaching Andorra. We climb to well over 2400 meters altitude; we drive through valleys along rivers; we picnic in green pastures. No day is the same. If you have your own group, this event can take place at any time of the year, except August. In winter, where snow may be blocking our track, we drive alternative routes – no less spectacular. 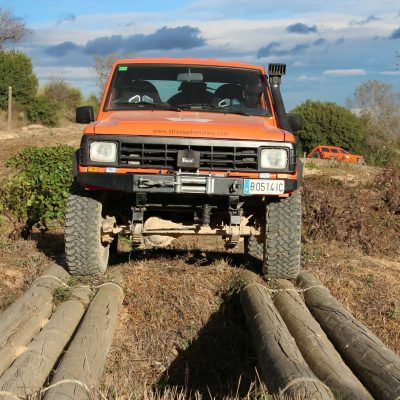 If you want to take part in this event with your own group, simply contact us via info@4x4discoverytravel.com. Together we settle on the dates, cater for any special wishes you may have and arrange the details of your trip. If you want to join with just one or two persons, let us know that you are interested and we’ll put you on a list. When we have four or more interested people, we will contact you to see if we can arrange something that suits you.